Product management, by design, is hands-on. Product Managers dive into the details, get their hands dirty, be part of the daily push and pull. PM jobs are by nature very tactical. However, tactical work smothers the more strategic parts, limiting the impact. Customers never see our breakthrough products. Competitors never quite feel our punch. Our managers see lackluster revenue and profit growth. 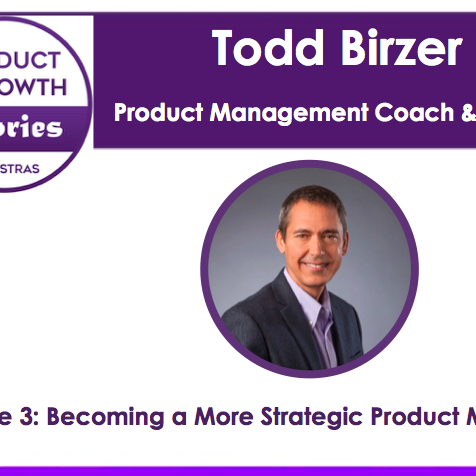 Todd Birzer, a Product Management Coach & Trainer, discusses with me how the tactical overwhelm the strategic and how to tap product growth by following a strategic approach while not loosing sight of your core tactical work areas in this episode “Becoming a more strategic product manager”.